Chad has been with Jencor since December 2014. If you are buying a new home, refinancing your existing home or looking to switch from your existing lender, Chad has the experience to provide you with the options you are looking for. For the past 14 years, Chad has played professional football in the CFL and NFL, winning the 100th Grey Cup in 2013. 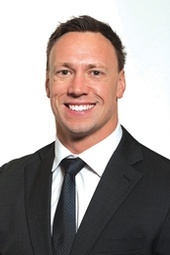 Chad has bee a CFLPA Player’s Representative for multiple years and is also a trustee on the CFLPA Pension Board. Chad’s areas of expertise include rental franchise ownership, finance and real estate. Chad has 17 years of experience as a Booster Juice franchise owner / operator and 5 years experience in both commercial real estate and mortgages.